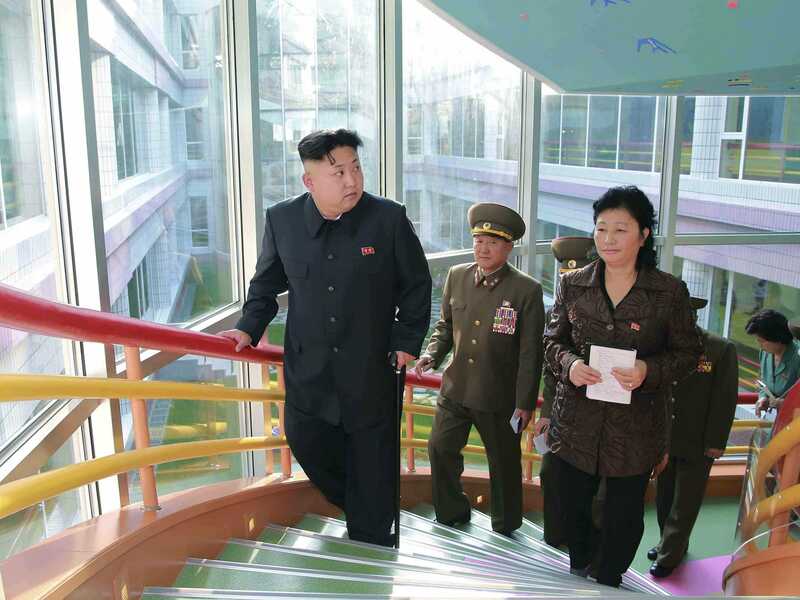 ReutersNorth Korean leader Kim Jong Un gives field guidance during his visit to the completed Pyongyang Baby Home and Orphanage, in this undated photo released by North Korea’s Korean Central News Agency (KCNA) in Pyongyang on October 26, 2014. North Korea has aimed fresh threats at the United States, reports The Associated Press. Specifically, it is sounding alarms that it will beef up its war capability and conduct a fourth nuclear test. The controversial nation is pointing its accusations at the United States because of a recent UN resolution urging the Security Council to refer the North’s rights situation to the International Criminal Court. “It’s the first time a U.N. resolution included the idea that the North’s absolute leader could be targeted by prosecutors. Before the U.N. vote, a North Korean envoy threatened a nuclear test,” writes the Associated Press. North Korea fired back in the wake of this news saying that the resolution approval is a “grave political provocation” orhcestrated by the US. The AP notes that an unidentified ministry spokesman says that North Korea’s war response will be boosted up in an “unlimited manner” to match what they see as hostility coming from the US. CNN reports that China, Russia and Cuba are all against the resolution in question and they said the result of the vote was manipulated. China and Russia are among the five UN Security Council members who have the power of veto. North Korea’s leaders have been accused of using murder, torture, slavery, and other tactics to, as CNN puts it “prop up the isolated regime and exercise total control over its citizens.” The country denies all human rights allegations that have come its way.